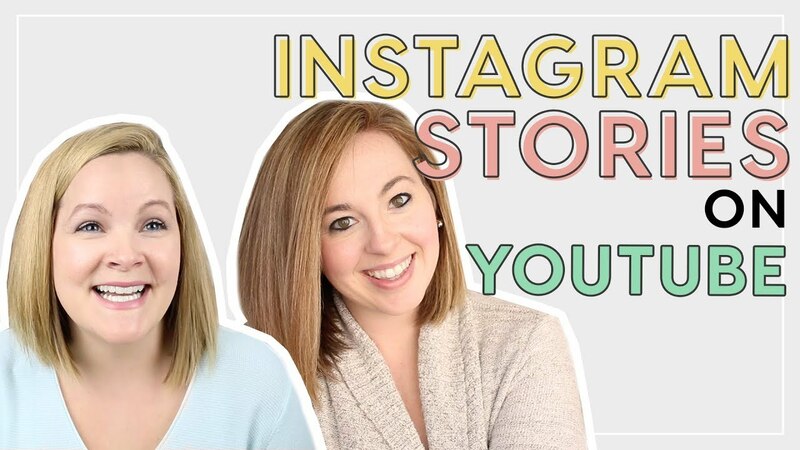 In this collaboration with my friend Holly Gillen, I got to show up on her YouTube channel and deliver 3 really easy ways to make your videos look polished for YouTube and social media. To keep things simple, I’m using iMovie in the video tutorial, but these tips apply no matter what video editing software you’re using. Before I jump into my tips for making your videos look professional and polished, I want to address a few questions about video editing with iMovie. But if you want to jump right to the tips, be sure to watch my video on Holly’s channel! Is iMovie good for making YouTube videos? 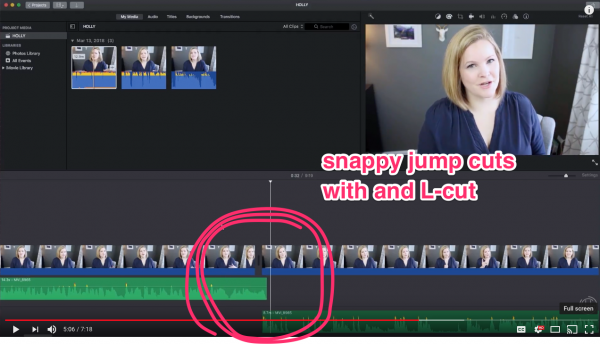 If you’re a Mac user, and you have access to iMovie, this video editing platform is an amazing option for beginners to video editing. So yes, iMovie is good for making YouTube videos! Can you add special effects to iMovie? iMovie does have special effects that you can add, but as you’ll see in this post, special effects aren’t always the answer (especially if you want to keep your videos looking pro!). Can you use iMovie on a Windows computer? Sadly, no. I wish you could because it really is a great program for beginners! How do you edit an iMovie? Editing with iMovie is pretty easy, and I have a couple of popular iMovie tutorials that you should check out if you’re new to it. You can find all of my iMovie tutorials here but I also have an iMovie Cheat Sheet you can download! 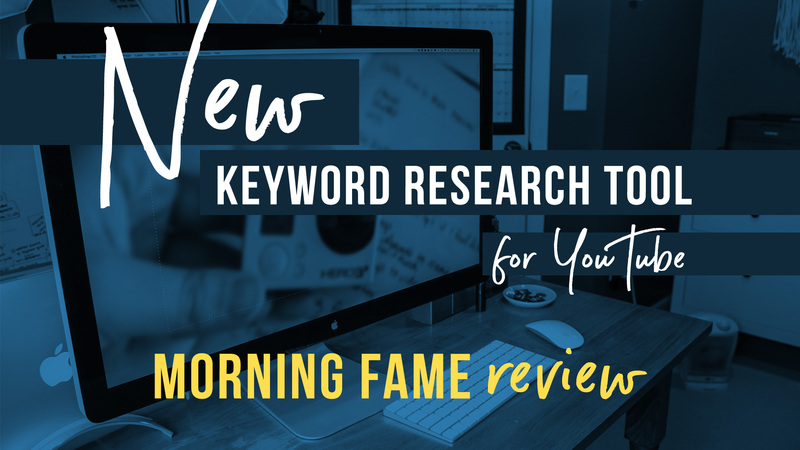 Click here to grab that now. 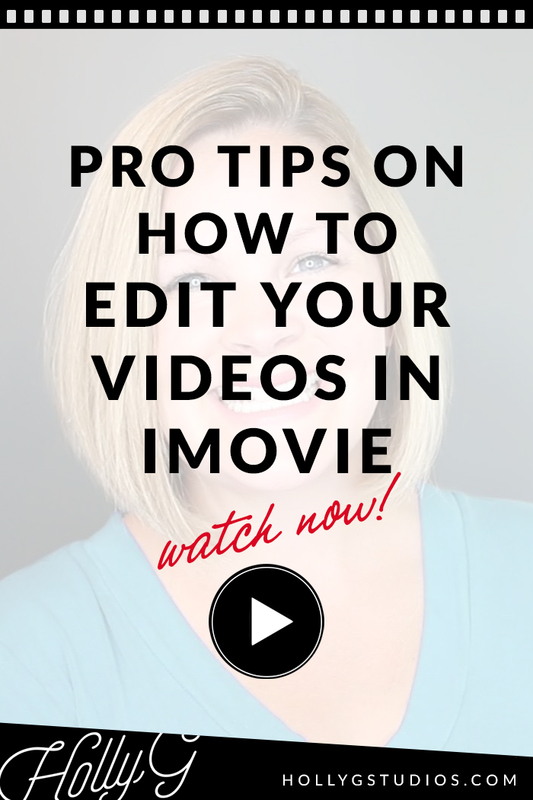 Now that I answered a few common iMovie questions, let’s talk about how to make a video look professional with iMovie! Here’s the thing about any “special effect” in iMovie: they can be extremely distracting. If you’re making a YouTube video or Facebook video, you probably want the viewer to focus on what you’re saying in the video, right? Don’t distract them with fancy titles! I like to use a very simple “lower third”, I always have to remind myself to make them smaller than what I think they should be. 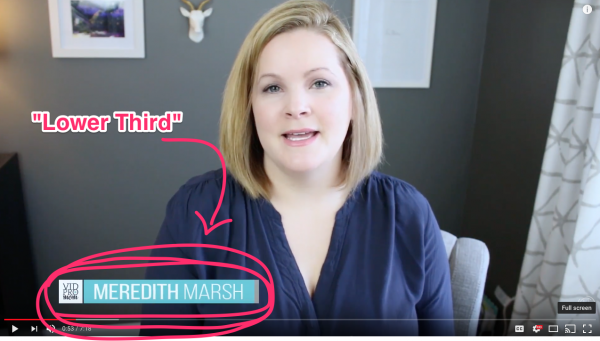 Titles and lower thirds are there more as a supplement to whats coming out of your mouth, so if you’re the one on camera, focus on you and what you’re saying, and let your lower third just kinda help out, not be distracting. The next thing to avoid is background music that is too loud, and I’m a culprit of this for sure. Kinda like the size of your titles, go a little quieter than you think it should be. Always err on the side of too little rather than too much. People who click on your video to watch it want to hear what you’re saying. that’s the main singular focus here. 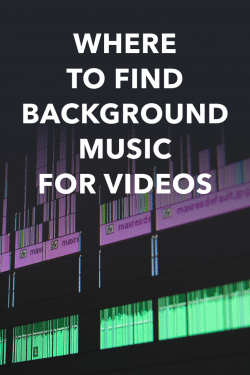 Background music can enhance your message and the feel of the video, absolutely, but you don’t want it to distract or take away from what’s being said in the video. If you’re new to video editing, then playing around with graphics and effects like that will eat up a TON of time and may not look all that great. So that’s why I say just keep it simple and keep moving forward. Jump cuts are our friend! 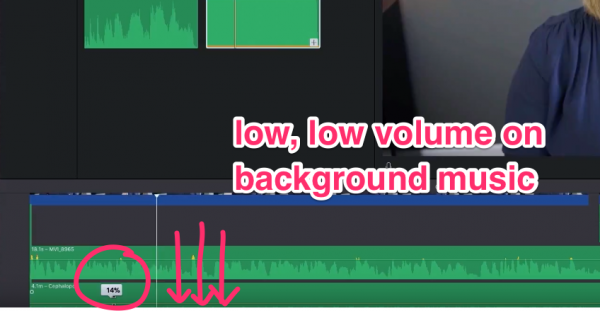 I like to use an L-cut in my editing, which I explain in my video. 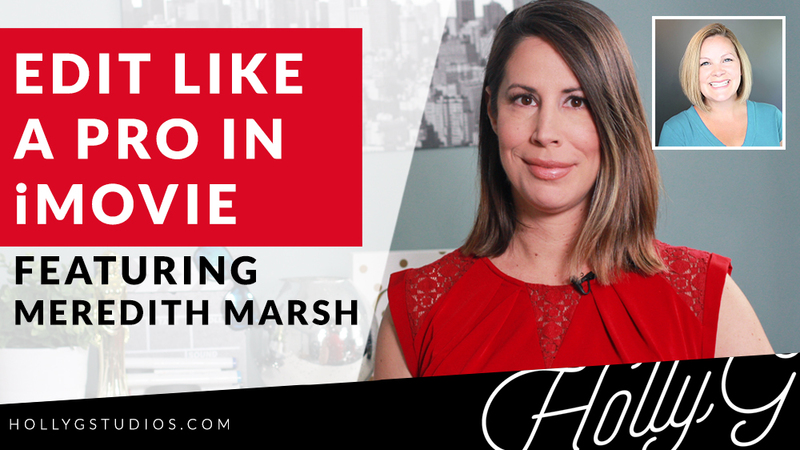 I hope this post and video was helpful for you if you’re wondering how to make a video look professional with iMovie! The magic truly is in the minor details that you include (or exclude). Keep it simple, and keep moving forward! Don’t forget to grab my iMovie Cheat Sheet!